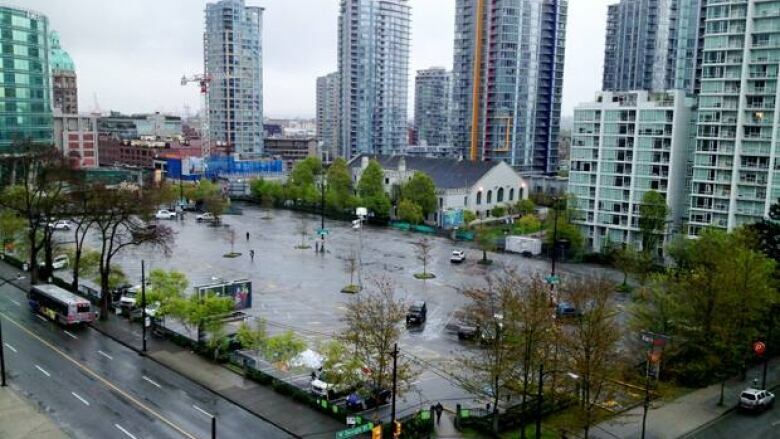 Vancouver city councillors have unanimously backed a proposal to move the Vancouver Art Gallery to the former site of Larwill Park at the corner of Georgia and Cambie streets. Vancouver city councillors have unanimously backed a proposal to move the Vancouver Art Gallery to the corner of Georgia and Cambie streets. The gallery has been negotiating for years with the City of Vancouver to find a space on which to develop a larger building, and in 2010 said it has found an ideal location at 688 Cambie — a full city block that's presently a parking lot. On Wednesday afternoon, city council approved a 99-year lease on the parcel of downtown land. VAG is only able to exhibit about three per cent of its permanent collection at any given time in its current location — an old courthouse on Hornby Street. The gallery must now come up with at least $150 million in funding, including grants from the federal and provincial governments, to ensure the $350 million project moves forward. Councillor Heather Deal says the new space will allow VAG to display works that are now kept in storage. "We'll finally be able to take these things out of the catacombs, bring them up into the light," she said. "Many of those pieces of art are local artists'."